Greece has arguably one of the longest wine histories in the world as wine has always been an integral part of Greek culture since antiquity. Greece might not be the first country to produce wine, but what can be attributed to Ancient Greece is the development of a culture encompassing all aspects of wine: vine growing, production, legislation, trading and, of course, the art of consuming wine. As a beverage and carrier of civilisation, wine was catapulted to a level unprecedented and unrepeated until, perhaps, the 19th century. From the development of appellation regimes to the emergence of wine writers and to the important role, during symposia, of the oinohos –the equivalent of the modern-day sommelier– wine in Ancient Greece was dealt with in a most sophisticated manner. Evidence of the long history of wine in Greece is apparent even today. Historic vineyards abound, with an unbroken track record of several millennia. The epitome of this prestigious group of vineyards must be Santorini, with an own-rooted, phylloxera-free vineyard, which is a remarkable 3,500-year-old world monument. Many of these distinctive ecosystems developed through natural selection, located in areas protected from most vine pests and vine diseases. Therefore, the vast majority of Greek vineyards are suitable for organic cultivation or other alternative methods of viticulture, while the need for frequent chemical spraying is eliminated. Despite their huge heritage, the New Wines of Greece can promote themselves solely by virtue of their present attributes and not past glories. In the last three decades, a wind of change has been blowing through Greek wine production, turning a relatively traditional agricultural sector into a cutting-edge entity in today’s wine world. Greek producers have invested heavily in people, education, know-how and technology, starting a steep learning curve. The level of wine quality currently coming out of Greece can match any other country, but there are several other features that make the New Wines of Greece stand apart. Wine production in Greece is contemporary, yet maintains its human scale. It became modern without phasing out the advantages of tradition. Many ventures have been established recently, using up-to-date equipment while remaining mostly small- or medium-sized. However, it is worth bearing in mind that a medium-sized winery by Greek standards would be a rather small one if compared with the average winery of many other European or New World countries. On the other hand, there is a plethora of traditional wineries that have been revamped by their owners and can compete with the “newcomers”, meeting the challenges of the marketplace. The very essence of Greek wine production is the family-owned boutique winery. The New Wines of Greece are created by people whose wine production is a very personal, soul-searching process. This is directly reflected in the human care found in the vineyard and in the winery. All vineyard practices, from planting to pruning and harvesting, are carried out entirely by hand. The amount of manual work done in Greek vineyards might increase labour costs, but it allows for great attention to detail and an astonishing ability to select only the best grapes, both being key factors in top-quality wine production. The meticulous manual work also explains the fact that Greek vineyards are brimming with globally unique vineyard practises, like the kouloura vine training system of Santorini, or the aplotaria system found in Paros. There is a rich heritage of vine growers and winemakers, coming from centuries’ worth of collective experience. It is most reassuring, however, that the use of innovative practises with the aid of cutting- edge technology in vinification come to embellish and highlight the arduous work carried out in the vineyard. Passion is not in short supply in Greece and its New Wines are certainly made by passionate winemakers and vine growers. While the personality of a large amount of the wine consumed around the world is determined by marketing experts and accountants, Greek wine producers are crafting their wines in an artisanal way. The way tradition has incorporated innovation (or vice versa) becomes fascinating when it is filtered through the human factor. Veteran winemakers and vine growers, backed by decades of experience, abound in Greece. The new generation, inspired by its fathers, decided to go abroad for studies in order to gain advanced know-how and international expertise. However, young producers returned to Greece and became talented, pioneering winemakers or specialised wine experts. Many of them are also spending considerable time teaching in Greek universities, preparing the next generation of wine professionals. These developments in wine production were crucial for the New Wines of Greece since they allowed a sufficient critical mass of quality wines to be gathered. As evidenced by many other countries, two or three wineries producing top wines are simply not enough to promote the international image of the whole region. Several great producers and many excellent wines are needed to create an impact on the global wine market and this stands true for the New Wines of Greece. This is confirmed by the abundance of wines that have been acknowledged by internationally acclaimed, opinion-leading wine and gastronomy critics, as well as by the international distinctions and awards gained from top wine institutions around the world. in the world of wine first-hand. A crucial role in the New Wines of Greece award winners has to be attributed to the International Wine Competition of Thessaloniki, the only one of its kind in Greece, now over a decade old. Every year, leading international wine judges gather to taste hundreds of wines and award medals to the standard bearers. The International Wine Competition of Thessaloniki has been an excellent vehicle for promoting wine excellence and lesser known varietals as well as for pushing quality levels even higher. At the same time, wines produced from organically grown grapes are another important facet of the New Wines of Greece. Most wine-producing regions in Greece display a relatively trouble-free ecosystem, so organic cultivation is the obvious choice. The low disease pressure, coupled with the small scale of cultivation and the manual work in the vineyard allow for a chemical-free regime of winegrowing. Furthermore, many Greek vine growers are not totally dedicated to vineyards, since the return is usually small, but are also involved with other types of cultivation and even animal farming. Thus, they truly understand the holistic impact of avoiding chemicals in their vineyards. It is fair to say that viticulture in Greece goes hand-in-hand with an unbroken line of organic practices spanning several millennia, cultivating an emerging group of producers offering biodynamic or natural wines. The New Wines of Greece are set apart in the wine markets of the world by several important attributes. They are distinguished, since they are recognised by many wine experts as undoubtedly worthy of attention and appreciation, but, at the same time, they are relatively undiscovered, largely unknown to wine enthusiasts. 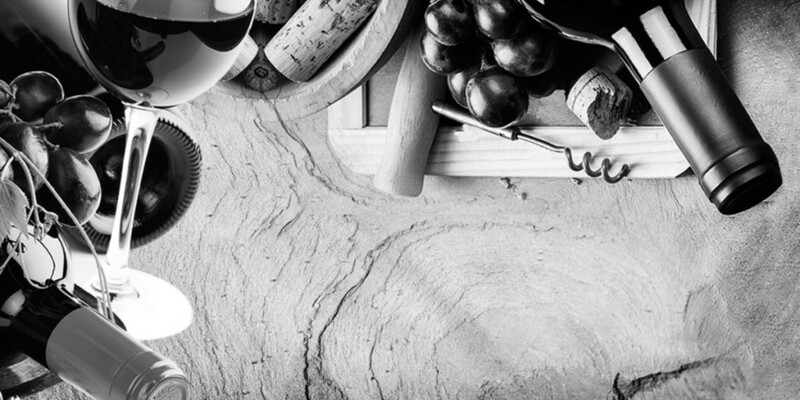 In an extremely crowded marketplace, intense competition leads to over-saturation and homogeneity, so both professionals and wine lovers are always interested in a breath of fresh air. The New Wines of Greece are truly European. They are a part of the premier European wine league and in terms of quality they belong to the same class as Italian, Spanish, French, Portuguese, German and Austrian wines. They are wines expressive of their distinctive and historic terroirs, bearing all the hallmark characteristics of their Old World provenance. Hence, they are a must-try for all people wishing to explore and taste the wines of the essential vineyards, the grand terroirs of the world. At the same time, they are unquestionably wines of today, reflecting Greece’s contemporary winegrowing and winemaking processes. The New Wines of Greece are not only uncommon, breaking the mainstream wine routine, but they are rare in nature – they are produced by unique and finite terroirs that determine the limited production potential. A wine drinker choosing the New Wines of Greece will enjoy several significant benefits. Sipping a glass of Greek wine is essentially an exploration, stretching the sensory palate and enriching previous sensory wine experiences; it is both a reward and an indulgence. It also displays a certain degree of connoisseurship and attainment of specialised wine understanding; thus, one joins the group of knowledgeable taste experts.